Art historians regard Hermann Obrist (1863–1927) as one of the most influential founders and visionaries of the art nouveau movement in Germany. His diverse oeuvre includes tapestries, ceramics, furniture designs, metal work, and sculptures including monuments and fountains. Hermann Obrist: Sculpture, Space, Abstraction around 1900 presents for the first time in English the entire scope of Obrist’s work. This vibrantly illustrated volume presents exemplary work from each period of Obrist’s career. In addition to the illustrations, the book includes essays by expert critics who investigate Obrist’s ideas and concepts, the inspirations for abstract designs that he derived from natural forms and phenomena, and his plans for tombs and monuments. 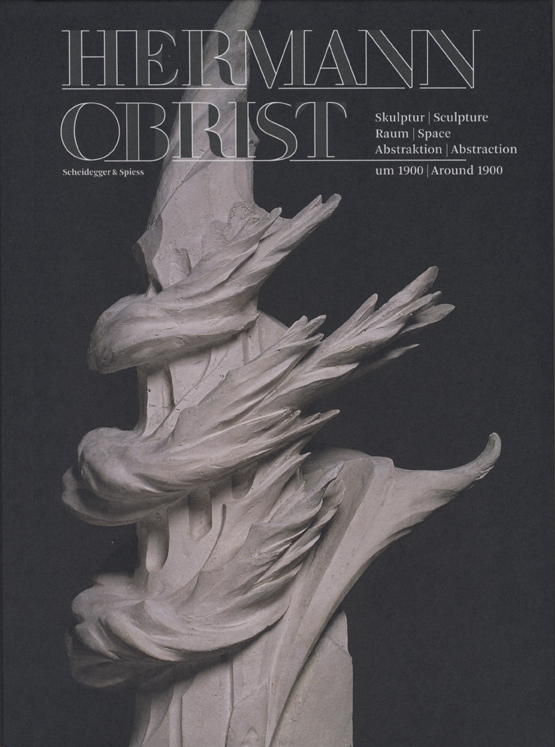 Though many of Obrist’s designs for fountains were unrealized and the majority of his tombs and monuments have been destroyed, this comprehensive volume documents the entire collection of plaster models and photographs for both unrealized and destroyed sculpture work. Created to accompany exhibitions at the Museum Bellerive in Zurich and at the Pinakothek der Moderne in Munich, Hermann Obrist: Sculpture, Space, Abstraction around 1900 is an informative collection that will fascinate scholars and historians of the art nouveau movement.